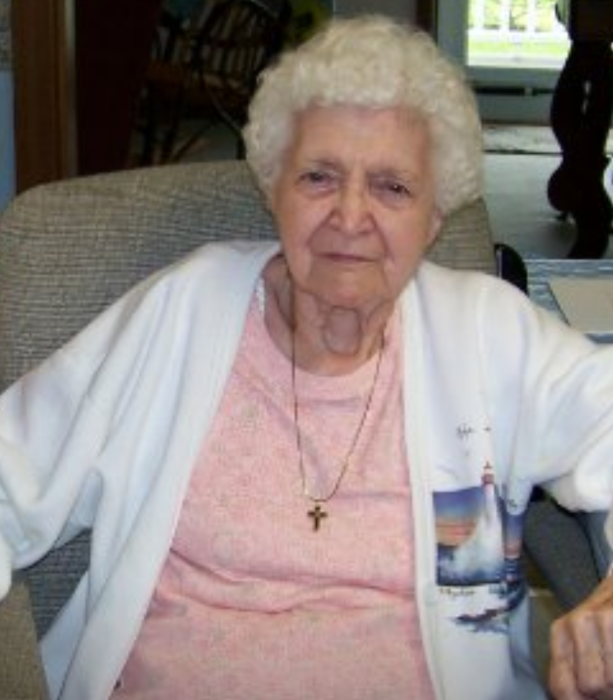 Obituary for Frances Ruth (Mohr) Weatherholt | McCoy-Moore Funeral Home Inc.
Frances Ruth Weatherholt, 97, Bidwell, Ohio died Tuesday, November 6, 2018 in the Holzer Senior Care Center, Bidwell, Ohio. Born May 2, 1921 in Cabell County, West Virginia, she was the daughter of the late Earnest and Flossie (Markins) Mohr. She attended the Rodney Church of God, Rodney, Ohio and Christ Church of Christian Union, Ewington, Ohio. She married Harold Weatherholt July 30, 1940, who preceded her in death April 20, 2010. She leaves behind to cherish her memory her children: Patricia (Eugene) Holley, Rodney, Ohio; Bonnie Patten, Orient, Ohio and Charles Weatherholt, Gallipolis, Ohio; nine grandchildren, twenty-one great-grandchildren and six great-great-grandchildren and sister, Betty Carter, Ona, West Virginia. In addition to her parents and husband, she was preceded in death by a daughter, Barbara Weatherholt; son, Phillip Weatherholt; brothers, Fred Mohr and Paul Mohr; sisters: Colleen McCallister, Lorene Weatherholt, Faye Spencer and daughter-in-law, Patricia Weatherholt. Funeral services will be conducted 11:00 AM Tuesday, November 13, 2018 in the McCoy-Moore Funeral Home, Wetherholt Chapel, Gallipolis, Ohio with Rev. Alfred Holley and Pastor David Greer officiating. Burial will follow in Centerpoint Cemetery, Thurman, Ohio. Friends and family may call at the funeral home Tuesday 10:00 AM to the time of service.